That’s actually pretty cool. A good .308 bolt action that’s light and has a box magazine for a reasonable…. WHAT MSRP OF $995 NO THANKS. 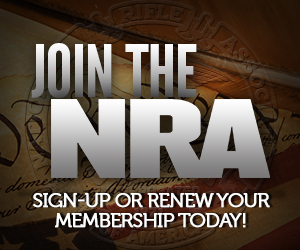 Has Sturm, Ruger & Co ever disavowed the late Bill Ruger’s bootlicking of the Clinton Administration, their advocating the denial of basic human rights to US Citizens, their support of anti-gun programs? When they do, I’ll buy a Ruger product (maybe). Well, they now encourage private citizens to buy large-capacity magazines for their semiautomatic rifles, and have invested heavily in the manufacture and marketing of tiny pocket pistols intended for concealed carry. But if contrite press releases are more important to you than actions, then yeah, I guess you should boycott those despicable running-dog collaborators with the enemies of liber-tah. @Elmo: Since Ruger offers nothing particularly unique or especially better than any number of other manufacturers, I do have quite the choice: And I will use it. As quoted here, for a little bit more one can get the same idea, better built and executed, from Steyr…Among others. A bolt gun with a humongazoid magazine and a pickeltinny rail? Sounds very Rugerish. At least it has an un-Rugerery recoil pad that looks comfy. The more plausible competitior would be the Savage. svi: Ruger 77s seem to actually sell for about $300 under MSRP, so I’d expect real-world prices around $700. And everywhere I’m looking a Steyr is actually selling for about MSRP – which is over $2000. Dirt: How else is one to put the forward scope on it? Sebastian: It’s not meant to be a combat rifle; it’s a “general purpose” rifle, more aimed at hunting than anything else. That three or four pounds presumably adds up when you’re carrying it around all day, which is, again, what the Scout concept is about. (And of course, on parts, well… in a “SHTF situation” you’re not going to have a lot of time to go looking, and I suspect that the simpler bolt action is less likely to break. Can’t hunt with an M1A in a pinch? I really want one of these! I’ve been looking for an old M77 Frontier in .308 for awhile now, but these look far more interesting. As for hunting with an M1A, some areas don’t allow the use of semi-autos for hunting, but I’m unaware of any such prohibitions on bolt guns (other than the obvious shotgun only areas). First unlike the M1A That should be able to deliver a shot way out there if need be. The .308 is a serious round for a lot of uses. It’s light enough. Sorta makes me think of SMLE, lots of rounds and a accurate bolt action that can be cycled fast enough. But not a spray and pray lead flinger. It’s a rather appealing critter. In the hands of a trained shooter, I’d bet a decent M1A is just as accurate as the Ruger. I fail to see the appeal of a short-barreled bolt-action .308. It will probably be no more accurate and have less downrange power than an M1A1 with a full barrel. With the bolt, it’s slower and clumsier than a semi. I suppose it’s lighter but a twenty round .308 mag is pretty heavy on its own – so it won’t feel all that light if you load it. I’ll keep my HK91 in case the fan takes a hit, thanks. Sebastian…In my experience an M1A/M14 will shoot MOA out of a match barrel…otherwise, not so much. The 2 SOCOMs I shot were pretty accurate, but heavy (almost 9 pounds) and “infested” with rail systems. I prefer the ergonomics on my FAL (which is heavy). The Steyr has issues other than price…the plastic stock got the weight down but feels cheap, and the spare mag tens to pop out when you fire the gun. There are also persistent accuracy issues (probably to do with bedding). I shot a course with the Colonel’s personal Steyr .308 and it was a sub-MOA rifle (duh). I’ve shot 2 other ones that were not. I’ve got some 1000 yard data on the Ruger from other shooters but I have not shot it beyond 300 yards myself. We talked a lot about the Lee Enfield when we were spec’ing the rifle. I’m intrigued. I think that many people who say, “Oh, well, obviously an M1A Scout is better!” hasn’t actually carried around a long gun for a week or two. The price point is certainly reasonable. Somewhere around $700 is what you pay for a good bolt action rifle. Anything less than that and you’re looking at entry level models that are certainly serviceable but usually involve some tradeoffs on materials, ergonomics, design, etc. TANSTAAFL. I do question whether the scout rifle concept makes more sense than a lever gun. If you want fast target acquisition with low magnification (a scout rifle’s strong suit), then you probably also want fast follow up shots, which screams “lever gun” to me. I’d be especially intrigued to see if they offer a lower-capacity magazine that sits flush with the gun’s stock. For hunting I don’t need or want 10 rounds. I’d prefer a 4+1 setup that is flush for an easier grip and less weight. This year I wrapped up a bunch of trips of varying lengths from day hikes all the way up to a 10 day trip. There is a HUGE difference between a 6 lb carbine, an 8 lb scoped rifle, and a 10 lb+ beast. I use a Kifaru gun bearer set up so that helps transfer the weight to the hips. However, if you’re carrying a rifle slung or in your arms all day then those ounces and pounds add up. I figure 4 lbs in my pack is about the same as 2-3 on my neck (sling) and 1-2 in my hands. If you’re going to go for a 10 day walk in rugged terrain with minimal/no spare parts (remember, ounces turn into pounds and then you have an 80 lb ruck…), then I think it is hard to argue against a bolt action. If your hunting trips are day-trips where the pickup is never more than 2 hours away from your tree stand, then, ok, maybe a semiauto makes sense. But if you’re doing remote trips then I am much more comfortable with a bolt, lever, or maybe pump action than a semiauto, myself. I’m still a cheechako when it comes to hunting in Alaska, but almost none of the experienced guides up here rely on semiautos. Lever guns are popular for brush guns (esp for bears) to get off quick follow-up shots, and bolt guns are popular for everything else. I did toke a long gun on a hiking trip once. Once. After that I got a S&W 629 in .44 Magnum. Short handy length (39.5″ w/ flash hider). Lighter by 1.25 lbs (16″ FAL) to 4 lbs (SOCOM II quad-rail pig version), unloaded, than any short-barreled semi-auto .308. Holds 10 rounds of .308 in QD mags. Has a proper mount for modern optics. Appears to come with quality iron sights. Should undersell every self-loader .308 on the market, except the Saiga, by $200 to $1200. Should be legal to own in every state, including anti-gun jurisdictions. There’s the rationale. I’d prefer a semi-auto in a defensive role, yeah. But there’s your rationale. Since you talked about the SMLE, why didn’t you all end up with something that resembled one? I used a sporterized (bbl. cut to 22″) No4 Mk1/3, added some bits and pieces and ended up with much the same thing as the Ruger for a third the price, with a bedded action, Huber trigger, a scope mount that sits over the receiver. Plus the decided advantage of the Mad Minute. PS: 7.62×39 and 7.62x54R bullets work just fine in an Enfield barrel. I was considering buying am M1A, but the more research I did the more I saw they weren’t without flaws. I would love to have one, but if I was to spread money right now on a 308 semi-auto it would be a FAL or an AR-10 clone. That said; why do you want a semi-auto 308 for SHTF? Mr Bane: The Steyr’s theoretical sub-MOA accuracy is way more than a Scout needs and Cooper said so (of course, someone like him can get the most out of a sub-MOA gun). Just how good were the “bad” ones you’ve seen or heard about at 300 yards/meters (which is about the official limit or at least requirement for a Scout anyway). WRT to SHTF scenarios, remember that the Scout concept is for an individual rifleman, not e.g. a member of an infantry squad or larger unit. Basically, in what situations do you think you’ll need 20 rounds of 7.62 NATO real fast that you realistically can expect to survive? I grant that fast follow up shots could make a real difference, but in combat the ideal application of the Scout, again for an individual rifleman, is to shoot one round (hard to precisely identify from where) and then scout. From memory, in one of Cooper’s books he mentions how a British seaman taken captive on a cruiser damaged in the Battle of Jutland managed to essentially defeat it. It was sufficiently damaged that it had to anchor in a fjord, he escaped with a Mauser 98 and was able to pick off members of work crews without them being able to take him out with the ships weapons because they never had a really good idea where he was. Again, for SHTF situations, if you have neither concealment (as he had) or cover, well, there are again only so many situations where having a mess o’ rounds in a box magazine will save you. However, I think there may be a compromise that will satisfy many. With the possible exception of a middle sling attachment point, the 7.62 NATO FN SCAR 17S looks like it’s a Scout out of the box. It isn’t heavy for the same reasons the Steyr isn’t (aluminum receiver and plastic furniture and it’s got a nice long rail on the top. If you ignore the weight of a full magazine (or don’t carry it with a full/20 round one), it looks like it makes weight. And it’s supposed to be accurate enough. I’m looking forward to getting one when the price comes down. Was merely noting that the Colonel’s rifle was real good…others I shot were 2-3 MOA@100. I did NOT do major ammo/accuracy testing on the guns. RE: Tactical use of same…I live in rural Nowhere…a couple of times a week I go on TV and talk about guns, lots of guns…2 law enforcement agencies have warned me that any robbery attempt on my house would NOT be random in nature…QED, my readily accessible rifle is an FAL. Can also give you chapter and verse out of Katrina. Am putting together a multiple-day course on these issues, to be filmed for TBD/Survival next season. Sebastian, I’ll qui haunting your comments now! The scout seems to be the “if you could only have one rifle” kind of topic. Since I have several, if I was forced to be walking all day, it would be with the lightest, probably the Mini-14 or even the little AK, with a short magazine in either. But since the only scenario I can envision is a disaster, either natural or manmade, where I was caught away from home and had to get there, it would most likely be with the 21″ rifled barrel / rifle sights, 870 slug gun that lives in my trunk. Being of the age that my first issue rifle was an M1 Garand I can certainly testify that lugging a heavy rifle around is almost enough to make one think of abandoning the thing to rely on one’s 1911 carry gun in .45 acp, I do appreciate a lighter rifle, but like many here, mine is a DPMS LR-308, which was both less expensive than any of these scout rifles and to my thinking more versatile as well.